I’m trying to perfect the ending to my novel right now, and honestly, I’m almost paralyzed. I’ve never been this slow at writing, so easily distracted, so critical of every word and plot turn. It is driving me crazy. But I know exactly why I’m feeling apprehensive about writing my ending. To me endings are so important. They can make or break the entire book. I’ve kept reading stories despite my interest lagging a bit only to reach the end and found it brilliant, making the whole entire book, even the slow middle, amazing. Conversely, I’ve been turning pages in a fury to reach the end only to be disappointed and left feeling hollow about the whole book. Getting the ending right is crucial. 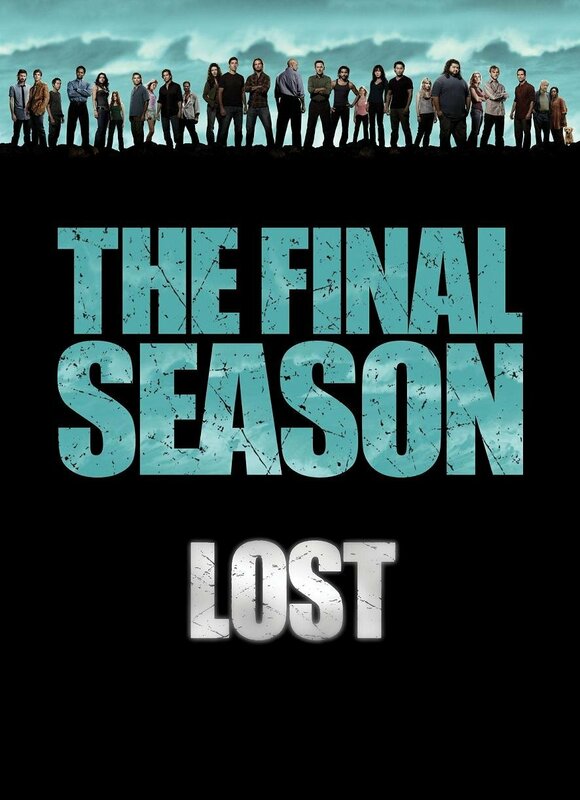 I blogged a while back about re-watching the series Lost, and I have finally made it to the end. Please don’t calculate how quickly I burned through the six seasons. Part of my speed was me trying to avoid writing my ending, but part of it was that even the second time around, the show is riveting. But having reached the end, I’m reminded of how polarized the critics and fans were. Some loved it, praised it as the best series of all time, well-done, and emotionally cathartic. Some were disappointed, calling the writing lazy and saying it undermined the entire series. Really, the whole internet was abuzz with people blogging about why they loved it or hated it. On a side note, recently Damon Lindelof, co-created and executive producer of Lost discusses the ending and how he feels about the criticism, which I found very interesting. For the record, I loved the ending. 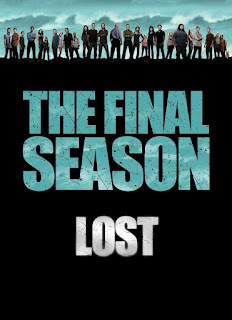 I thought it was perfect, and I might blog next week about why it worked so well for me (for those of you who care), but today, I want to discuss why the ending for Lost was so satisfying for some and so dissatisfying for others. Endings are tied to readers’ expectations from the beginning. Every genre has certain conventions for beginnings that hint about what type of story to expect. A horror story doesn’t start the same way as a romance unless one of the lucky couple bites it in the end of the chapter, and even then, there is a different tone and sense of foreboding that foreshadows the event. Likewise, a love story with a tragic ending shouldn’t begin as a light hearted chick lit. The reader needs to know what kind of story he/she is reading, and what to expect from the ending. Now I’m not saying the ending shouldn’t be unexpected. I like unexpected endings. I’m a big fan of the big twist when it is done right, but there is a difference from a twist and an ending that completely jumps the shark, an ending that comes out of nowhere. Those endings are neither clever nor satisfying. The pilot episode was very much about the characters, especially Jack. Yes, there was a plane crash, and people were reacting to that, but how they were reacting was already establishing who they were. Jack taking charge and running around helping everyone, which of course he should since he’s a doctor, but then he’s the one to go out into the jungle in search of the cockpit and goes back to help Charlie when the smoke monster is chasing them. This nicely establishes his need to save everyone. Kate tagging along with Jack to get the receiver and her comment about running while she stitched Jack up hinted of how she could never stay in one place for very long, and Sawyer not really helping much and smart mouthing off showed how he only looks out for himself. Things were happening, but the focus was very much on the characters. Later episodes with the flashbacks, further illustrated this character focus, showing that all the characters were lost long before they got on the island. The natural end for the show would be for those characters to find themselves, which is how the series did end. They found themselves in the sideways world (the afterlife) when they remembered the island and remembered each other. They found themselves through each other. If that was your expectations of the series Lost, then the finale was perfect. It resolved the original promise of lost souls finding their way. Every week the mystery of the island deepened with the others and the hatch and the darma initiative, and while many things were explained, many weren’t. If you found the mystery of the island more intriguing than the emotional journey of the characters, I’m not surprised you were dissatisfied with the ending. Because the sideways world detracted from that promise, and in some ways, may have undermined it. So I believe the take home message from Lost is to be careful to fulfill the promises made to the reader. Make sure you are delivering the type of story that the audience expects. The beginning should reflect the ending, and if there is a problem with the ending, maybe you need to revisit the beginning. I too liked the ending of Lost. I loved the charactors. My only issue with the ending was Jack. In some ways him having to return to the island only to die, which may or may not have saved everyone was a little frustrating. I then decided that it is symbolic of life. We all have things we believe in life God or what is right and wrong. In the end we really don't know the answers. I agree ending are important, which is why I started hating heroes. It had great built up every season only to disappoint me in the end. I got sick of waiting for Silar to change. I felt like I was in an abusive relationship with that charactor and believed that he was changing and he didn't. I agree that it was sad not knowing if Jack's sacrifice mattered. I think it did. The thing is that was self-destructive off the island. He didn't have anything to believe in. The island gave him purpose again, and he needed that. And whether or not he saved the world with his sacrifice doesn't matter. He believed he did. At least that is how I saw it. I stopped watching Heroes for the same reason, and you describe my feelings about it so well. I felt the writers must have been fools to not realize we would feel that way eventually. I almost wondered if we were part of some experiment about how many times they could break our trust before we walked away. Well, they found out. I quit watching Lost only to be told it got better in later seasons. Maybe I'll have to revisit it. Your post is so timely, though. I'm nearly at the end of my novel, too, and I feel like a snail carrying a shell full of angst. Will I get the end right? Will it all fall into a pile of 'meh'? Should I rewrite that one part again (for the 10th time)? You know. Your advice was very motivating. Thanks! Yes, I do. :) Maybe I'll stop torturing everyone and shut up about it. I liked the post you did on your blog about this. Thanks for sharing it. I never watched Lost, but I remember all my friends fighting about the way it ended. I agree that it's important to follow through on the promises you make during the story. I don't mind twists, but sometimes they feel lazy. A few years ago someone recommended a book (won't name names) that she swore I'd love. I bought a hardback copy because it wasn't out in paperback yet. It was okay, all the way through to the end, when out of nowhere the author decided to kill off the main character's best friend. As far as I can tell, it was more or less just for shock value. It annoyed me so much that I gave the book away and refuse to finish the series. I hope you find the ending you're looking for. It's worth a little procrastination, if it gives you space to think. Good luck MaryAnn! I don't like anything in the story that doesn't feel natural. Twists can be fun, but not if they feel forced or done for shock value. IMO, major and minor characters need a good reason to be killed off. I don't like getting jerked around emotionally without some sort of payoff. I can't comment on Lost, because I haven't read it yet. However, I wanted to say that I went through the very same paralysis when I began writing my ending. I knew what had to happen, but getting the setup right became excruciatingly frustrating. I began writing a stream of scenes, out of sequence and from different characters' viewpoints. The moment I got stuck I'd switch to another scene or viewpoint. Within days I had essentially wrapped up the final three chapters. I had written no other chapters with the same speed. I was then able to cut, splice and glue everything together in such a way that (I think) worked far better than I had anticipated. Had I not taken that approach then I'd probably still be struggling with it. I'm not saying that the same approach would work for you or your situation, but it may be worth a shot. In any event, my best to you in your struggle. I struggle with endings too, so I don't have a tried and true method for kicking out an ending quickly. I suggest that you sit down and write the most soppily happy ending you can imagine, just to get it out of your system. It helps me! (Or maybe write the ending you really want to write, happy or not. )Tie up everything neatle, even if you know it seems farcical. With that out of your system, you can address these issues of promises to your readers, and the overall theme of the book. You might even be surprised to find some salvageable pieces in your "just the way you want it" ending. This is a great post. Every time I write something, I dance around this issue before I finally solve it incidentally. I think knowing what I'm doing might speed the process up. Thanks Maryann! I think Lost was proof of bad planning. I think the creators created brilliant beautiful characters and put them in a weird situation, then hoped and prayed for the ending to figure itself out. Incidentally, that's the way I love to write, and I think the ending worked. But I think that ending wouldn't work for any other show.